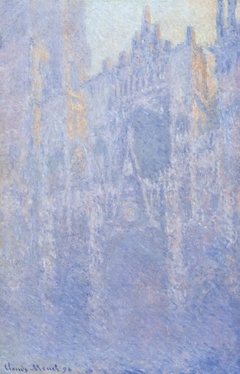 "Everything changes, even stone." 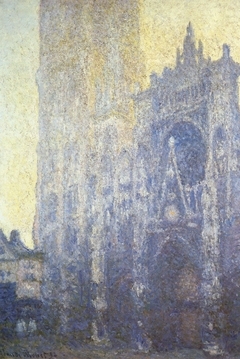 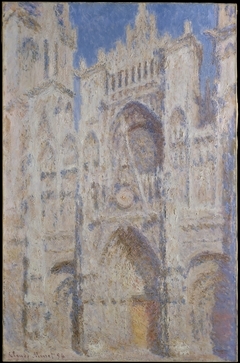 Claude Monet wrote these words in a letter and vividly demonstrated them in paint, conveying a wondrous combination of permanence and mutability as the sun daily transformed the facade of Rouen Cathedral. 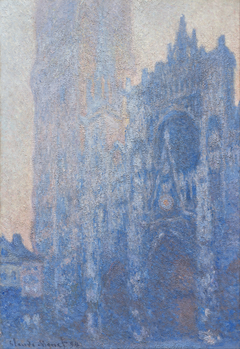 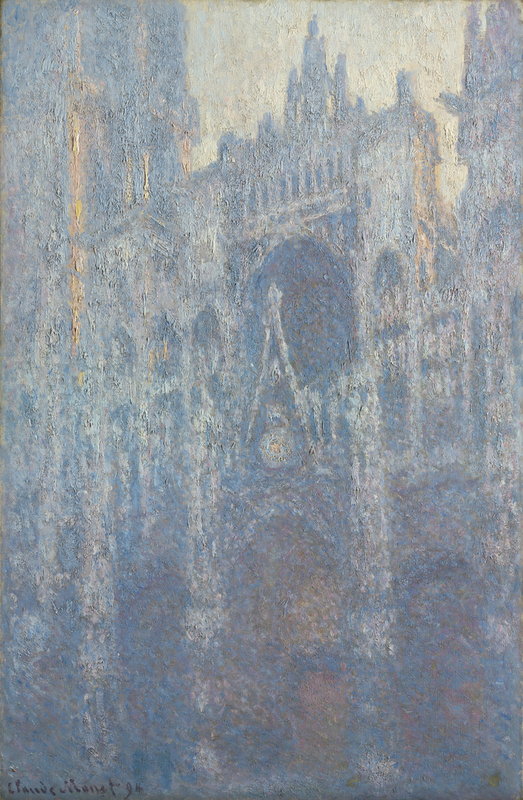 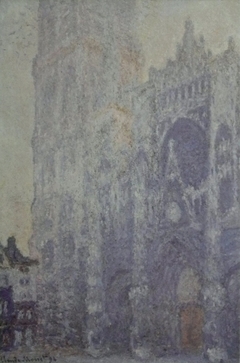 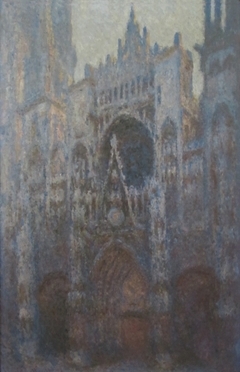 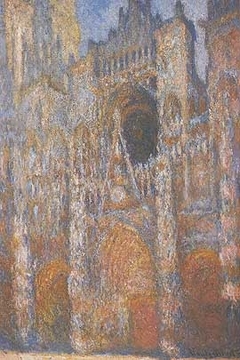 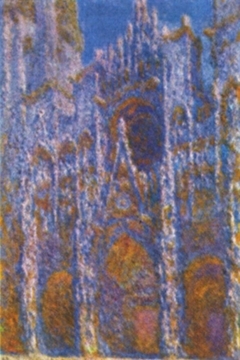 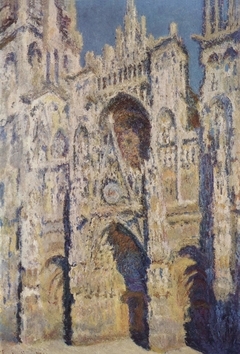 Extending the building's encrusted stone surface to the richly varied impasto surface of his painting, he portrayed the cathedral perpetually re-emerging in the suffused light of early morning. 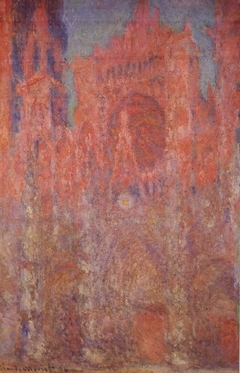 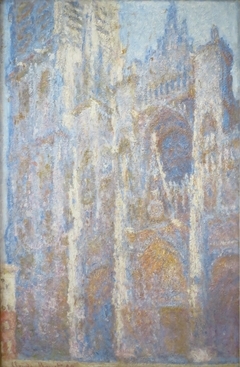 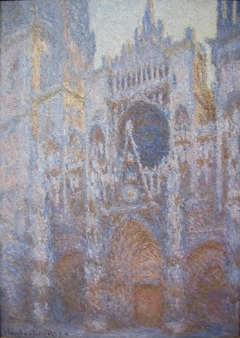 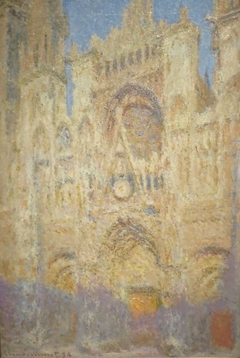 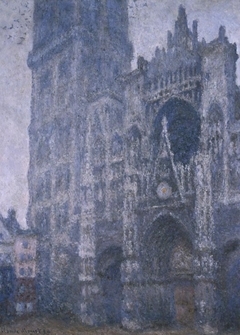 Monet created several groups of paintings exploring the color, light, and form of a single subject at various times of day, but his Rouen Cathedral series was his most intense effort on a single site. 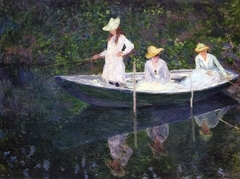 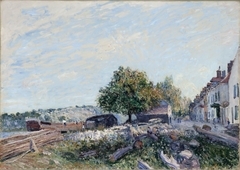 He painted there in late winter in both 1892 and 1893, then reworked his thirty canvases from memory in the studio through 1894. 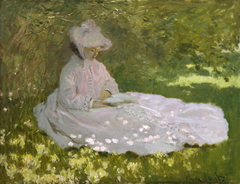 He began this example in 1893, working in an improvised studio in the front room of a dressmaker's shop across from the cathedral. 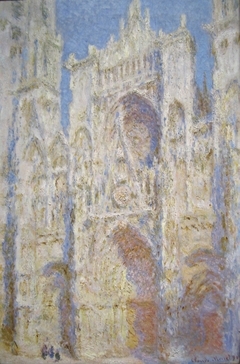 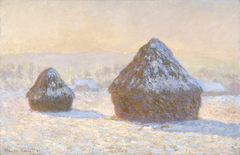 After creating a coherent ensemble, Monet selected twenty paintings that he considered "complete" and "perfect," including this one, for an exhibition at his Paris dealer's gallery in May 1895. 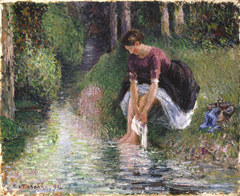 Pissarro and Cézanne visited and praised the series, and patrons quickly purchased eight paintings from the group.